Clean purely with the VaporLux 5000 UL Commercial Steam and Vapor Cleaner. This cleaner is lightweight, easy to use and it gets the job done. The VaporLux®'s 120 volts and 80 psi vapor pressure eliminate dirt and grime. Harsh chemical cleaners can damage carpets and are bad for the environment. Why use chemicals when you can use a steam cleaner? 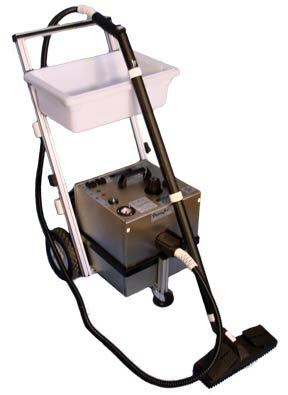 Go Green with the VaporLux®5000 UL Commercial Steam Cleaner.